Land use/land cover change (LUCC) is a focus of the research of global environmental changes. The middle and upper reaches of the Yangtze River, which are the most ecologically fragile mountainous area in China as well as one of the areas in China with most notable LUCC, have been on the Chinese Government’s list of priority areas for ecological restoration. 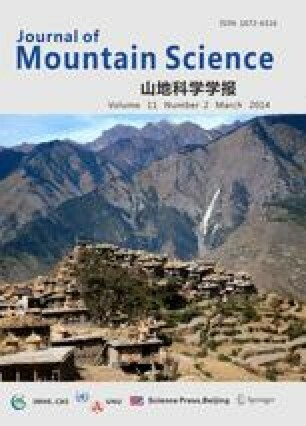 This paper is to reveal the trend of LUCC and the ecological degradation arising from it, and to provide a basis for the future sustainable use of land resources in the region based on a detailed analysis of Yiliang County. Based on the county’s land use/cover maps in 1960, 1980 and 2000 drawn with the aid of aerial photograph interpretation, field investigation and GIS based spatial-temporal data analysis, LUCC during 1960–2000 period and the ecological degradation arising from it were analyzed. Using the Markv model, the paper brings out a forecast of what the county’s LUCC would be like if the county’s curret land use continues, as well as the reasons and countermeasures for restoring degraded ecosystems.